The whitebeam tree (sorbus aria 'Lutescens') is a native, hardy British tree, found commonly in southern England. Its leaves are a spectacular colour in spring when they are a silver-white colour, the undersides being hairy. Expect creamy white flowers which will attract bees, followed by attractive red berries that appear in small clusters in the Autumn. The Whitebeam is considered a medium sized tree which in horticultural terms means it will grow to around 6 m at 10 years and could stop depending on local conditions or it could carry on to around 12m. Expect ultimate height to be from 20-50 years which sounds odd, we agree it is but don't tell us, tell the rest of the industry that categorize these trees. The spread of the Whitebeam is usually around 80% of height so if it gets to 10m tall, expect the spread to be around 8m. 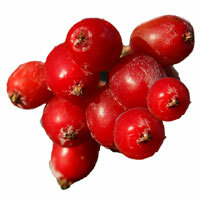 As with most Sorbus trees, the Lutescens berries are suitable for making jellies, just like crab apples and most grow fairly true to type from seed but we don't want you to do that as we loose a sale! The Whitebeam tree has performed so well that the RHS has given it an award of Mertit. There was probably no red carpet ceremony for this, maybe just a few drinks down the local. Also considered suitable for Coastal sites. Now when we say coastal, we don't mean planting on the beach waterline at low tide and you come back a few hours later to find your tree submerged. The Sorbus Whitebeam will be ok for planting in exposed sites, we don't mean the nudist beach either. Exposed sites means one that offers little wind protection. For those sticklers for detail that like to test our commitment to our tree warranty, planting at the end of a runway or wind tunnel invalidate it. You can also plant the Whitebeam in a clay environment, not inside a pottery in Staffordshire but in the ground! Conversely, the Whitebeam will also tolerate a chalky soil. 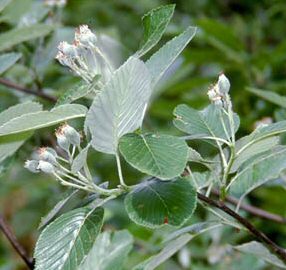 Whitebeam Lutescens will grow in full or partial sun in exposed or sheltered locations (sheltered as in protected from the elements not the homeless places). Well drained soil that is moderately fertile is ideal. Will also tolerate atmospheric pollution and dry condition. Although the Lutescens will tolerate Acid to Neutral soil, ex car battery dumping grounds and drain cleaner testing laboratories do not count. As the Whitebeam has so many good qualities it is good for planting in streets, ornamental gardens and parks. 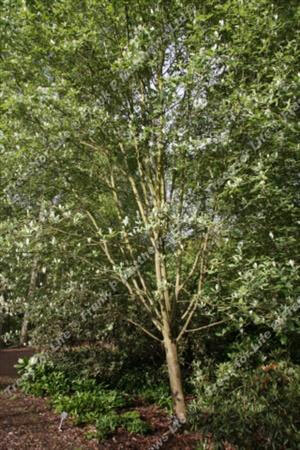 Our Whitebeam trees are supplied at a height of between 1.5m and 2.0m and in a 12 Litre container. This means the tree can be safely planted at all times of the year assuming regular watering is carried out. You can leave it in the 12 litre pot for a few months but best to plant straight away or pot on to a minimum of a 20 litre pot. Pruning requirments for the Whitebeam are minimal, just remove dead, diseased or branches that cross over in late Autumn or Winter. We usually have several options to choose from which may change a little e.g. pot size changing from 7 litre to 5 litre. This usually comes about because we caught the pot sales guy on a good day and negotiated a great price. 5-7 Litre: 1-2 years old, 120-150cm tall.